How, when and where he bets. There’s lots to learn from someone like Adam Mintz who has been a professional punter for more than 25 years. A full transcript is at the bottom of this post. Dave Duffield: So I just wanted to have a chat with you and help the guys get an understanding of what they can use the ratings set for. Different people approach things in different ways. One of the interesting things with the South Australian ratings is that there aren’t often that many prices that you want to stick right away you often doing a fair bit of your work late. 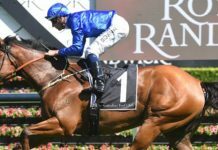 Adam Mintz: Yeah, well I’ve found lately definitely with a lot of the pre-post markets that are available, there’s pretty much only 365 and Sport’sBet who I think are doing any form, as such. I think the others just copy after them, and they’re pretty close to the mark, so I don’t often see a lot of value pre-post. Occasionally there is but definitely not as often as I see on the other states. Dave Duffield: So you have to play the patience game? Obviously if there’s a price you’d like early on you can try and get on but that can be a challenge. A lot of bookie won’t take your bets, so you have to wait until the last twenty minutes before the jump? Adam Mintz: Well, pretty much. I’m restricted with where and how much I can get on, so it’s not really worthwhile me jumping in so I usually don’t. I think it’s probably better that the prices are more around the mark early. I think when there are prices that go up early, that people knock off, I think that sort of sends the warning bells out. The market is closer to the mark going up, I think closer to the race we’re better off betting late with Best Tote or Betfair. I think that’s probably not a bad thing that the markets are quite accurate. Dave Duffield: Yep, so are you doing much monitoring whether it’s Dynamic Odds or other monitoring between say, 11am and 1pm or 11am and the twenty minutes before the jump? Adam Mintz: What I do personally, obviously I’ve got Dynamic Odds and I’m logged in ready to go on the accounts that I’ve got. If there is something that I’m umming and ahhing about backing, but haven’t backed then I’ll set the alarm on it, which you can do. It’s not a hard thing to do, you just click any price from any of the bookmakers and it’s got a button that says “Set price alert for runner agency”. So if it goes above that prices or below that price a little alarm will go off, and that might persuade me to have a bet elsewhere. But that is pretty much the only monitoring I do up until the start of betting, half an hour before the race. Dave Duffield: OK, and I mentioned that different rating sets are used in different ways, both by the punter themselves and also the subscribers. You often mention that you would like a 50% overlay, do you want to explain how that works, because it’s based around the old factional odds. Adam Mintz: Yeah, back in the old days, as such, there was a lot more value around then. I’ve always had it in the back of my mind to have a bet, I’ve always thought about getting the 6-1 on the 4-1 a pop. Or 3-1 about the 2-1 pop, which is what I call a 50% overlay. That is just a rule of thumb thing that I use, depending on the race. Obviously if I’m more confident with the race I’m happy to take a bit shorter price. If I’m less confident with the race, I’ll usually say that I want a 50% overlay, and that will mean I’m not as confident about the race. Dave Duffield: So if you’ve rated something $5 you might be able to get $5.50 or $6, that typically doesn’t get you too excited? Adam Mintz: Listen, it’d depend. It’s really just a feel for it but quite often if I’ve got something at $5, I’ll say I want $6 to back it. My markets are very close to 90%. They are skewed a little bit towards my top three rated horses and the rest of the field I do at 85% so the top three are 90% the rest of the field are 85%. In my comments for each race I’ll put in the required prices, but people can do what they like. They can just back all the overs. It’s a personal decision. The way that we’re using to quantify the results is on my recommended bets and I think at the moment they’re around the 20% mark? Dave Duffield: I think it’s come back just a shade but it’s still around 17% which is fantastic going. 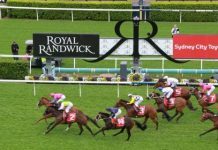 Adam Mintz: Yeah, so there’s no set formula for it, but in my recommended bets … in one race I might have a $5 favourite and say I want $6 to back it. In another race I might say I’m happy with $5.50 plus. Or in another race I might say $7. It all depends on the makeup of the race and the confidence level. Dave Duffield: You talked about your rated prices being skewed slightly towards the top three, but by the same token we’re often not on the favourite. We’re more likely to take the favourite on. How has that come about? We’ve done other chats about the form analysis, but just an overview we’re more likely to be on the middle pinners, as you say, rather than the favourites. Adam Mintz: Quite often the favourite in the market is a little bit shorter than what I think it should be. One that is an obvious one will be shorter than what I’ve got it. A lot of times we’re not on our first pick but if we are on the first pick, I’m usually pretty happy to bet. Dave Duffield: So let’s talk about the betting. There’s three main options right now. One of them is a relatively new player, or it’s been revived in some ways but new in terms of what we can do, and that’s Centrebet. There’s also Betfair, the exchange and Befair SP and Best Tote. So, do you want to just run the guys through those different options starting with Centrebet? Adam Mintz: Centrebet are betting, I think, from 9am on race day. They’re betting odds to a thousand on any meeting, and provincial country and I think odds to two and a half. I think it might even be more than that on a Saturday or a metropolitan. Dave Duffield: I think it’s up to five thousand for metro not until but not till 10.30am. Adam Mintz: I think, yeah, okay. Now I’m not sure about tomorrow’s meeting in Morphettville Parks. I don’t think they classify that as metro but I might be wrong so that might be two and a half. I think Saturdays might be five. That’s obviously worth having a Centrebet account. The only problem with that is if they don’t bet best tote. 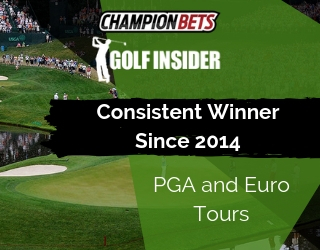 Now ideally if you’ve got an account with a corporate bookmaker, that also will bet you best tote that’s what I would be heading for. I think some of them pick and choose. I know Luxbet bet best tote. Bet 365, if you’ve got an account there will bet you best tote. Centrebet don’t, they bet you middle tote. I think, especially betting on Adelaide, having an account where you can get best tote is pretty important. If you’re getting middle tote, nearly as good. Dave Duffield: So that’s Centrebet and best tote, and there are quite a few corporate options that offer best tote. What about how and when to use Betfair exchange or the pre-race market, and also Betfair SP? Adam Mintz: Rule of thumb, I reckon, with what I do I don’t think you can put your bets on early in the morning, go out and forget about it. The only way you could do that is if you’re betting Betfair SP with a minimum price. Just to explain how that works. 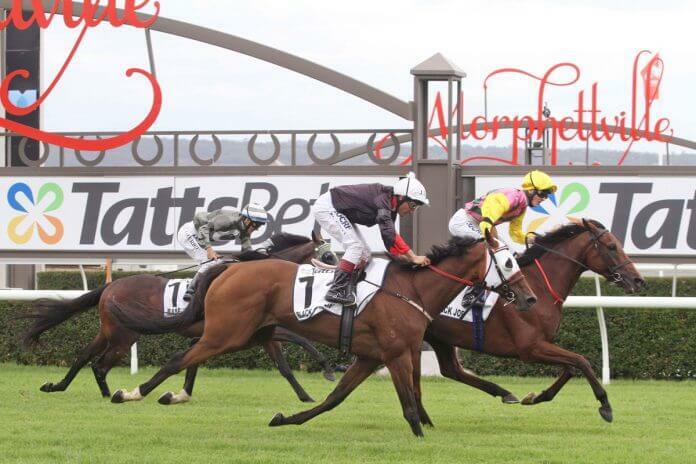 Say we want to back race 3, number 7 tomorrow at Morphettville. I might have it rated at 5-1. I might put in, if I’m going out and can’t be monitoring, Betfair SP minimum price required $6. Now, that will mean, at least if you’re on it you’re taking not a bad price. You can only get the minimum price that you put in or better. If you can’t sit and monitor then Betfair SP, I think, with the minimum price is a good thing to do. If you can monitor, I’m not saying you need to sit there all day, but if you can monitor the races that we’re betting in. If you can sit there for maybe the last five minutes, Betfair will give you a reasonable idea how the totes are going to end up, so even if it’s trading at $20 odd on Betfair, best tote is going to be around the mark. It might not quite be there. It might be a tad less, or a tad more, but that’s a pretty good guide as to how they’re going to end up on the totes. 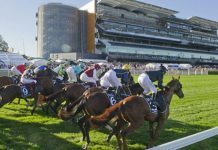 Dave Duffield: With your set of ratings, it’s fair to say that people have three really good options being Centrebet, Best Tote at a number of different corporates we hope, and also Betfair. Adam Mintz: Yeah, definitely. Listen, the more accounts you’ve got the better, but that’s not practical for a lot of people. Listen, I would say, the corporate are probably a little bit more competitive than Tadcorp, probably less competitive than the others. I think Ubet are pretty good. Bet 365, Sportsbet, Luxbet. They’re all pretty good, but I think if you’re going to choose one or two corporates to have accounts with in order to bet on the Adelaide markets, I think you need to have, obviously, one that’s not going to restrict you too much and is going to let everyone have an account, which is Centrebet. If you’re lucky enough to get best tote with Sportsbet, a lot of people can’t, you’ll be okay. Luxbet will bet you best tote as well. So maybe two of those three would be good, and obviously a Betfair account. Dave Duffield: One other thing I wanted to ask you about was level two races. In your terminology and the way the set goes out, almost all the races (I’d say 95%) would be level one, but occasionally you get very excited and there are level two races, and they’ve had a great record. Adam Mintz: Yeah, the level two races, I think, have had a pretty good result rate, in the last few months. I don’t often have many of them. Probably, now that I’ve found my feet a bit more, there might be a few more, but it’s just a feeling. It’s being confident with your market, confident with your ratings and taking the view that you’re really happy with your market. When that’s the case, I’m happy to mark it as a two star race, which is pretty much double the turnover, double the stake from a one star race. Usually they’re Saturdays, probably being a bit more conservative on the provincials but occasionally they come up. Dave Duffield: Do you find you have much of a difference in terms of your profitability from metro to provincials? Adam Mintz: Personally, I would say the provincials are better for me. Definitely. My profit on turnover would be better on provincials than Saturdays. Dave Duffield: Is there anything else you think, either a current member or a potential member should know in terms of, they’ve got their ratings set, they’ve got an idea of how you go about it, is there anything they should know to arm themselves fully? Adam Mintz: Not that I can think of at the moment. I mean if there are any questions that people have got, I’m happy to answer them, but not off the top of my head. I can’t think of anything else that they’d probably need to be aware of. Occasionally I’ll change a market. I mean, there will be scratchings. I get them out as soon as I can. Sometimes there is a bit of a delay in getting them out, but I do it as soon as I can. The only other thing would be racing patterns during the day. This time of the year I don’t find that I’m adjusting very often at all for that. During the winter months, and the slower tracks that can happen quite regularly depending on how the track is playing. 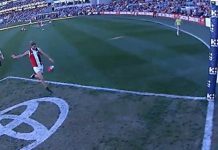 Dave Duffield: Okay, appreciate the chat today. I think that’s given guys a good insight into what they can do. It’s been a pretty strong record so far, as you mentioned before, the banks more than doubled at 17% profit on turn over which I’m sure you’re comfortable with but looking to continue on for the rest of the year. Good luck with that. And for people listening in, get in touch if you’ve got any questions. Thanks Adam. 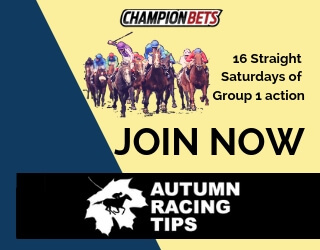 Members of Adam Mintz’s South Australian ratings service get the rated prices and staking plan of someone who has been a professional punter since 1992. 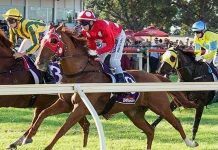 Featuring the same ratings that he uses to bet professionally, you will receive assessed prices across all the main meetings in SA, allowing you to easily and accurately choose the best value horses.